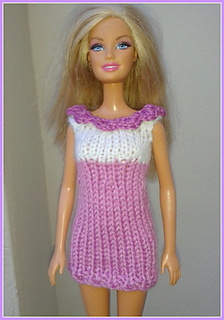 This is an updated version of my Barbies knitted dresses. 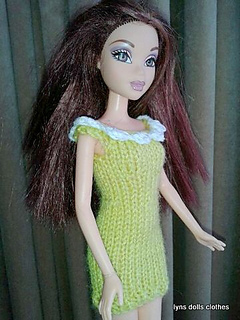 The dress is quick to knit using double knitting yarn and includes an optional crochet collar. I am on a learning curve and keep trying to improve my patterns. 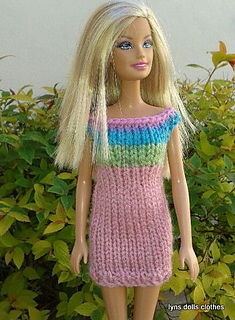 Please please if you knit this dress let me know how you got on and post a pic if possible. also please don’t sell or copy this pattern as its my original design.